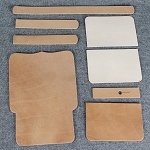 This kit includes the cut leather pieces needed to make a model 1857, .58 caliber U.S. cartridge box with the two piece body construction. This pattern box was designed for use with waist belt and/or shoulder strap suspension. 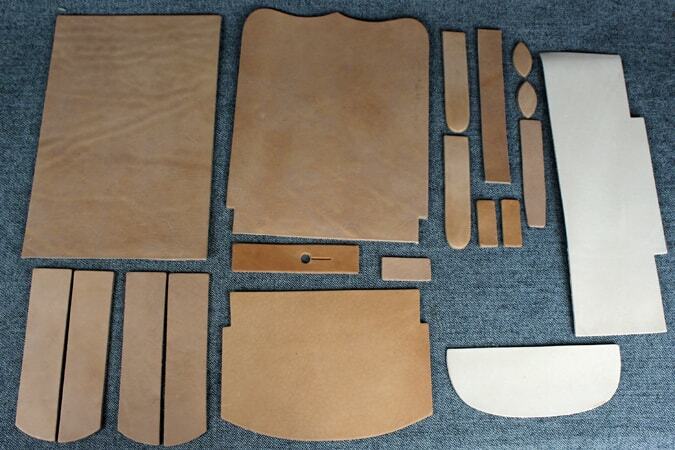 With this kit you can make a model 1857, .58 caliber U.S. cartridge box suitable for use throughout the war. Finial, buckles, cartridge box tins, needles, thread, and dye are available separately on our a la carte page.